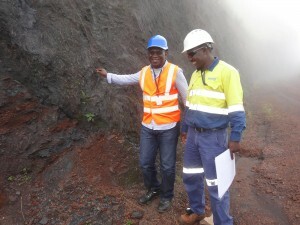 The local content policy developed by the Guinean government in collaboration with its partners – including industrial operators, the International Finance Corporation (IFC), the African Development Bank and the World Bank – should enable mining projects to make a strong contribution to the national economy and assist in capacity building for the mining industry and other sectors. 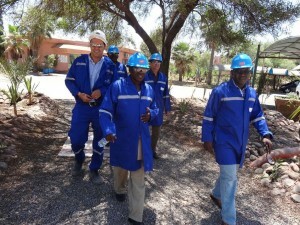 To maximize the positive impact of mining projects, and allow them to produce a multiplier effect that benefits the whole economy, a certain percentage of expenditure will provide for training and employment in local communities, the procurement of goods and services by local SMEs and SMIs, the completion of social projects in health and education, and infrastructure provision. The local content policy is based on three components for the fostering of economic opportunity: jobs, suppliers and capacity building. The Guinean government is committed to establishing a stable legal and fiscal framework to allow businesses to compete in the business contract market, which will help strengthen economic growth. Training for SMEs employees (management; on site) and local communities. The ‘Skills Development Program’ is a program of capacity building and skills transfer implemented by GAC. This subsidiary of Emirates Aluminium Global intends to invest in the training of hundreds of young Guineans who will benefit from internships in the United Arab Emirates. In addition to economic support for direct investment in mining projects, companies will contribute to economic development through the financing of social projects and infrastructure. 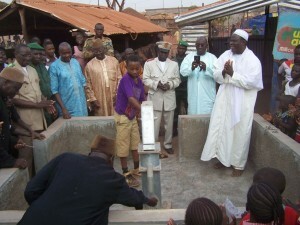 In the areas of education and health, many projects demonstrate the involvement of mining in the sustainable development of Guinea: building schools and health centres, support for campaigns for improved literacy and prevention against HIV and malaria, supporting the fight against Ebola, support for women and agricultural development. Finally, the program is to build and upgrade infrastructure by engaging with “Growth Corridors”, which will help revitalize economic activity and open up participation to a wider range of regions, including local communities. Ports, railways, roads, power and communications networks will ultimately benefit the entire population and provide new opportunities for traditional activities such as agriculture, horticulture, aquaculture and forestry. Rio Tinto encourages Guinean students to participate in its worldwide mining operations to acquire technical and management skills. Besides, it has since 2010 implemented a rice program in several villages around the Simandou deposit including training in cultivation techniques, irrigation and harvesting systems.